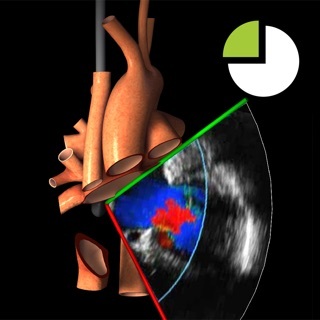 The primary challenge in learning transesophageal echocardiography (TEE) is translating the two dimensional echocardiographic image into a visualization of the three-dimensional (3D) structure of the heart. 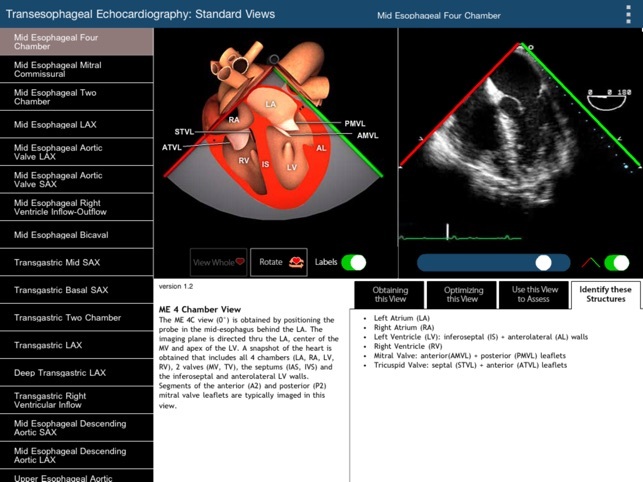 We have created this application to assist with teaching and learning the assessment of cardiac function with TEE. 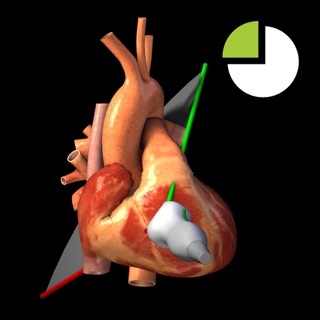 Users can view the TEE recordings for each of the 20 standard diagnostic views and see the corresponding 3D model of the heart, the TEE probe, and the ultrasound plane. Each TEE view can be selected from a menu at the left of the screen, or by using arrow buttons to go to the next or previous view in the list. 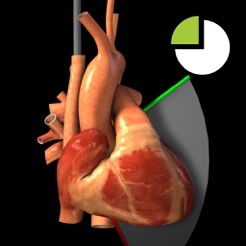 For each TEE view, the 3D model of the heart, probe, ultrasound plane, heart can be rotated in the horizontal or vertical plane to view it from any angle. 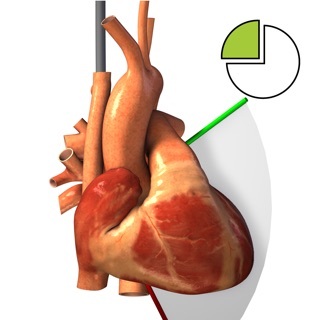 The part of the heart above the echo plane can be removed, and the heart model can be oriented so the structures correspond to the TEE image. 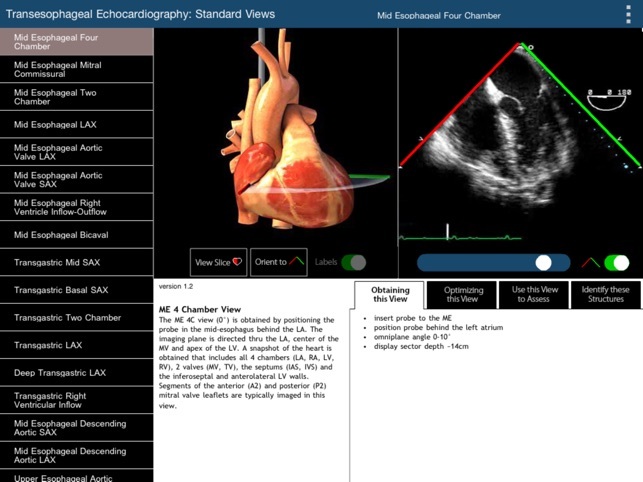 I bought this app and I use it as a teaching tool for residents and Fellows that rotate through our echo labs. 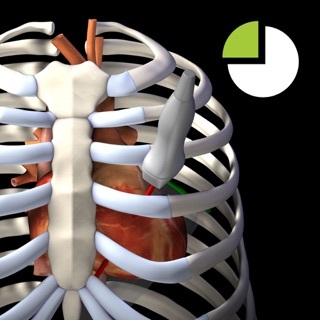 The introductory information and images are excellent. 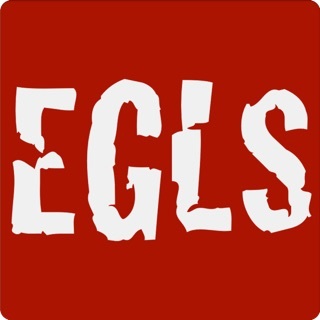 The app developers are very receptive to input as well. 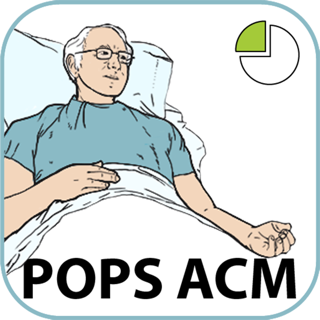 I would hope that supporting this type of project will allow them to raise the necessary resources to develop modules with pathology,etc. 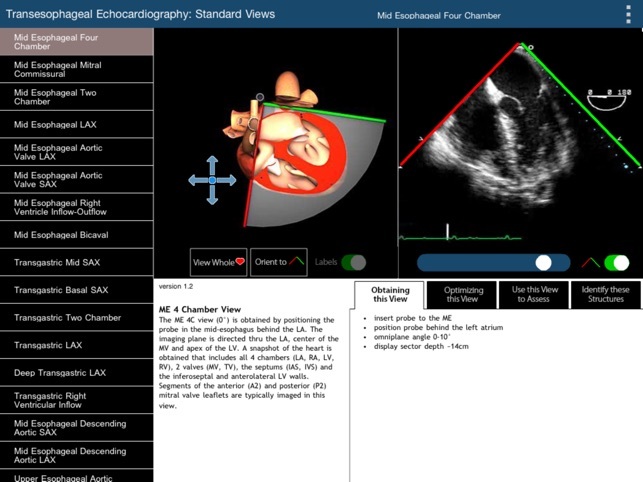 An update that shows the different mitral valve segments in the various views would be great for teaching.